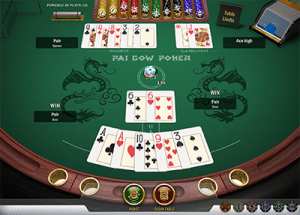 Pai Gow Poker is a card game adapted by Americans from the original Chinese domino game known as Pai Gow. While it’s rare to find Pai Gow Poker in land based casinos, you don’t have to look too far to find at least one variation of Pai Gow Poker offered at the top-rated online casinos. We explain the rules of Pai Gow Poker and where you can play this fascinating card game for real money on the Internet. Pai Gow Poker, sometimes known as Double Hand Poker, uses playing cards instead of the Chinese dominoes used in the classic game of Pai Gow. A standard deck of 53 playing cards is used, including a single joker, which can be used to act as an ace or to complete a straight, flush or straight flush. 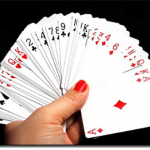 The aim of the game is to create two separate poker hands from the seven cards you are dealt – one five-card hand (the “high” hand) and one two-card hand (the “low” hand or “second highest”). The rank of your high hand must outrank the value of your low hand. Standard poker hand rankings are used for the five-card hand, including Five of a Kind, Straight Flush, Four of a Kind, Full House, Flush, Straight, Three of a Kind, Two Pairs, One Pair and High Card. The two-card hand only has two rankings – One Pair, or High Card. If both of your hands beat the dealer’s, you win. If only one of your hands beat the dealer’s, it’s considered a push (a tie) and your ante bet is returned. If both of the dealer’s hands beat yours, you lose your ante bet. The most common Pai Gow Poker game you’ll find online is from one of our favourite software developers, Play’n Go, which is the game we’ll focus on for the purpose of this guide. Play’n Go offers a sophisticated, attractive version of Pai Gow Poker that’s available for instant-play with no downloads required. BetSoft’s Pai Gow Poker variant is highly recommended. Playing Pai Gow Poker for real money is easy. 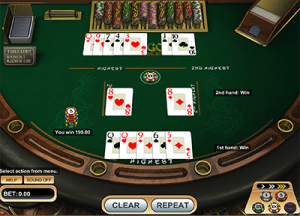 Sign up for an account at a reputable online casino that offers Pai Gow Poker, like Guts.com, and head to the cashier section to make an instant deposit using a trusted payment method like Visa, MasterCard, Neteller, or Paysafecard (bank transfers are also available but will take a couple of days to process), taking advantage of exclusive new player welcome bonuses along the way. From here, you can load Pai Gow Poker directly over your Web browser, via instant play mode. Click on a betting chip to select the size of your wager and then on the betting table to place it in the ‘bet’ section. Press the ‘deal’ button to receive your seven cards. Click the two cards you want to use as your low-hand, or press the ‘house way’ button to arrange your cards according to the same strategy used by the dealer. When you’ve separated on your hand, press the ‘play’ button to submit. The dealer’s hands will now be revealed, with the value of all hands disclosed and winnings distributed accordingly. You don’t have to be familiar with the rules of Pai Gow Poker to enjoy playing it online. Our recommended online casinos offer the option of playing for free in practice mode, so you can get the hang of the game before having to commit any of your own money. Pai Gow Poker typically comes with a winning payout of 1 to 1 on the size of your ante bet, minus a 5% commission taken by the house. Play’n Go’s online Pai Gow game caters to both low-wager players and high rollers, with minimum bets starting from just $1.00 and maximum bets capped at $100.00. The game comes with a RTP (return to player) of 97.15%. 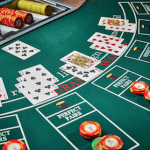 Pai Gow Poker can be found at a couple of our top-rated blackjack sites, offering a fun and different gaming experience to try out between hands of 21, but the one we recommend the most is Guts Casino. It offers both the Play’n Go Pai Gow Poker version along with BetSoft’s VIP Pai Gow Poker game, both which can be played directly over your Web browser for free or real money bets.